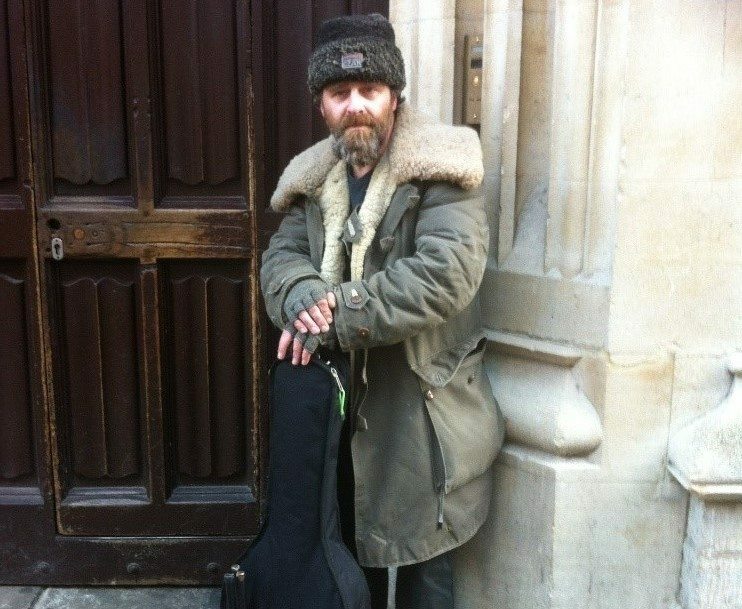 Neo, a homeless man and busker living in Oxford, is on his way to becoming something of a media sensation. I recently sat down with him to talk about his budding musical career and his experiences of being homeless in the city. “It all started at a lunch organised by the Oxford Homeless Projects,” Neo begins. Neo was invited to play the guitar and perform one of his own songs during the meal, hosted by the fledgling Muslim community venture. A video of his performance was later shared online. “After a week, there’d been 3500 views on Facebook,” Neo tells me. “Then, after the video was tweeted, a lot of news outlets started to get in touch, like ITV Meridian and the BBC.” In early February, he was featured on BBC Southern News and has also been interviewed on BBC Radio Oxford. What makes his story more remarkable is that Neo has only been playing the guitar for a matter of months. When a friend gave him an instrument and the advice to learn some busking songs, he began to practice for a few hours a day. “After a while, I had a good rhythm,” Neo says. “I just started singing my own stuff; I didn’t learn any busking songs. I found it was really easy to sit there and make things up.” Reflections upon his life on the streets provided the lyrical inspiration for songs like ‘Missing You’ and ‘Homeless Man’. Neo is planning to use the money which he earns from the sale of his album to enact positive change in the homeless community. He described what he views as fundamental problems in the local government’s approach to homelessness in Oxford. Recent 65% cuts to local government services, on top of a 38% cut to homeless services dating from early 2014, mean that the situation is unlikely to improve soon. There is less and less government funding, while there are more and more homeless people living in Oxford. You can follow Neo’s progress on his Facebook Page: Neo – Homeless Man at https://www.facebook.com/Neohomelessman/?fref=ts.